It's Friday! Time to curl up and read some links! Or just, well, curl up. What the hell are the Longyou Caves? What the hell is this Peruvian geoglyph? What the hell happened to physicist Ettore Majorana? Who the hell is leaving flowers on Caroline Walters' grave? Watch out for the Night Doctors! Watch out for those vengeful barbers! Watch out for those disappearing islands! Watch out for that Welsh vampire furniture! Watch out for the Forty Elephants! Watch out for those red-haired snakes! The fascinating grave of a Bronze Age girl. A night out in Manhattan in 1972. Watch out for the subways. More on the life of Dolley Madison. Erasers: Instruments of the Devil! The trouble with academic journals. More trouble with academic journals. Yeah, this is not a good week for academic journals. Have we found an Olmec written language? Hard times for a Georgian bookbinder. Theorizing about ghosts and the fourth dimension. 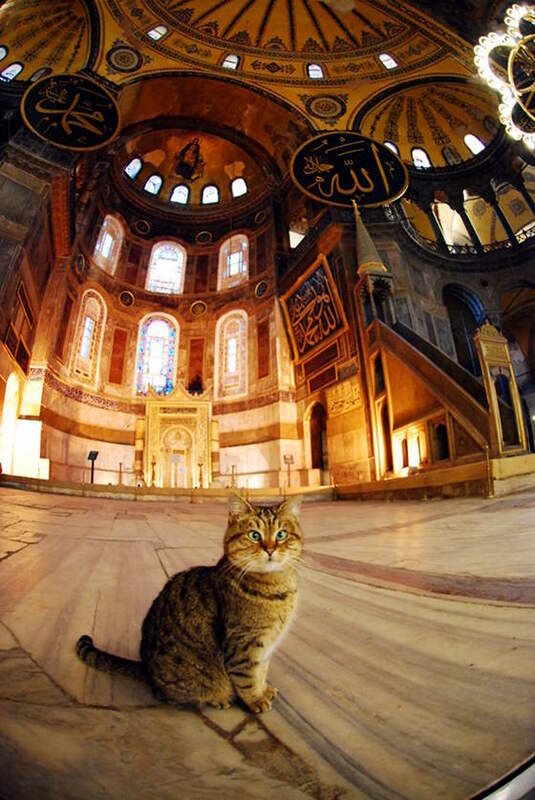 The Hagia Sophia: Home of healing powers, mysterious mosaics, and holy relics. Not to mention one superb cat. I doubt that's a coincidence. The hazards of being a Georgian-Era washerwoman. History never changes much. Unfortunately. A blog post making the important point that if there are aliens out there, they are very possibly, well, alien. The world's most "exciting piece of excrement." Yes, that's an actual quote. The Witch House of Los Angeles. And no, I don't live there. Now cut that out. Pushing back the history of writing. Pushing back the history of stone tools. Write on! This is possibly the world's oldest pencil. This one is just heartbreaking: Mine mules getting a taste of fresh air and sun in 1898. Southern France is home to possibly the world's creepiest sculpture. The FBI's "Did Hitler survive the war?" file. Russia is just plain freaking weird. The spookier areas of Venice. "The problem with being a necromancer is that you tend to alienate both the living and the dead." So opens this week's cautionary tale. The long history of poltergeists. A good example of why I just don't trust anything anymore. Country Joe McDonald and Florence Nightengale in the same link! Witches were not burned at the stake as often as you might think. Lord Byron's ghost is no doubt displeased that someone has debunked this particular legend. Witch hunting for fun and profit. Why early New Englanders often got married naked. It, uh, wasn't for the reasons you might think. To be honest, just staying alive here on Earth is such a challenge, I don't know why anyone wants to try doing it on Mars. Why every nice girl loves a sailor. Here's an unusual ghost story: a phantom tombstone. A devastating flood and a Man In Black. And, finally, I leave you with some eloquent thoughts from Kylie Jenner, the great scientific mind of our time. We're done! See you on Monday, when I'll be looking at one of 20th century America's most unusual disappearances. In the meantime, here's Sinatra. On February 23, 1967, the "Syracuse Post-Standard" covered the story of a mini-Tunguska event that took place in New York state. Early on the morning of November 13 of the previous year, a pit about 9 feet wide and 2 feet deep was discovered on the farm of Howard Lacey of Venice Center, in Cayuga County. There had been reports of a loud "sonic boom" or "explosion" the previous night, at about 12:30 a.m. One person reported seeing a "bright white light" in the sky about an hour before the noise was heard. The hole was examined by state police, members of the Air Force, several scientists, and a host of looky-loos, but no one was able to determine what had caused it. Ralph J. Turner, an assistant professor of architecture at Syracuse University, said there was "no direct evidence" that the pit was of meteoric origin. He added, "There is no definite evidence that it was a hoax or of dynamite origin. No order or remains characteristic of that were found. At this time its origin is enigmatic. It does seem safe to say that it was formed by some sort of explosion." Professor of Geology Ernest H. Muller threw up his hands, reporting that he had "no further conclusions," and "no conclusive evidence to prove it had extraterrestrial origins." Turner noted that the meteorite "would have to be of a size not commonly found...just big enough to get through the earth's atmosphere without disintegrating and large enough to still cause an explosion." So there the matter rested...until exactly one year later. On the night of November 12, 1967, the exact same thing happened: an ear-splitting explosion in the middle of the night, followed by the discovery of a large crater on Lacey's farm. Again, the usual band of curiosity-seekers and professional eggheads examined the site, and again they went away scratching their heads. On the night of November 12, 1968, the whatever-it-was put on a third performance: Loud boom, big crater. And everyone was still baffled about what was causing the damn things. An army ordnance expert could find no trace of an explosive device in any of the craters. An investigator from the Air Force went over the area with a Geiger counter but found no radiation. A geologist from Cornell took soil samples and found "absolutely no traces of any known man-made explosives." The state police said the craters were definitely not man-made. So, was it an unusual variety of meteorite? An unusually clever hoax? Flying saucers?? No one knew for sure, although one local woman who believed in space aliens formed a UFO club aimed at solving the mystery. By early November of 1969, great anticipation was building to see if there would be another encore. Well, anticipated by everyone but Lacey himself. The "Oneonta Star" for November 11 quoted him as grumbling that "It's really getting to be a little monotonous...I even hope it doesn't happen this year." As November 12, 1969 drew near, people came from all across the country to camp out on Lacey's farm to see the expected show. So, of course, nothing happened. No explosion, no crater, nothing. And it never returned. As far as I can tell, the annual mystery blast, like the "Poe Toaster," departed for good without anyone ever solving the riddle of its existence. In March 1921, 51-year-old Frank McNally of Hammond, Indiana, got married. The bride was his attractive 26-year-old housekeeper, Hazel Hall. McNally professed to love his wife, but he had an additional, even more urgent reason for marrying: Although he was a divorced man with two children from his previous marriage, he wanted his middle age to be brightened with additional progeny. Precisely nine months after the wedding, his cherished desire was fulfilled when Hazel gave birth to not just one child, but twins--a boy and a girl, whom they named Lauren and Laurene. Mr. McNally, of course, was ecstatic. And Mrs. McNally was the most devoted and attentive of new mothers. She proudly hovered over her babies, doing everything for them. She was not one of those women who gives birth only to turn the children over to nannies and nurses! In fact, she scarcely ever let her precious infants out of her sight. Mr. McNally happily cooed and cuddled his twins, but all the tasks of feeding, nursing, bathing, and changing the babies all fell to his wife. It was a job she happily accepted: indeed, she insisted on being the sole caregiver. The McNallys were the ideal early 20th century family. Well, for a while, at least. A few months after the twins were born, Frank had to admit that Hazel's attitude towards her children was perhaps just a wee bit too attentive. Not to mention "possessive." When friends and neighbors would drop by, naturally eager to fuss over the new little McNallys, Hazel kept them well away from the babies. She always said that they were sleeping and she didn't want to wake them. 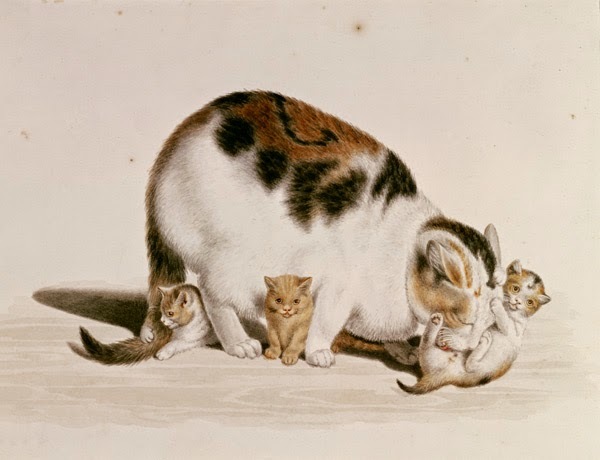 Unlike most new mothers, she didn't seem to want anyone to even look at her children. And they certainly did sleep a lot. When Hazel was not tending to them, the twins lay in their darkened nursery, perfectly still and quiet. Their mother claimed they had "weak eyes" and could not bear daylight. Unlike other babies, they never cried or wriggled or fussed when they were left alone. Mr. McNally was obviously the most easygoing of men, one of those placid souls who takes life as it comes and never wastes much time brooding over life's many funny little details. The remarkably inert characteristics of his offspring was evidently something he was willing to just shrug off. After all, what did he know about babies? Hazel, who was a trained nurse, saw nothing out-of-the-ordinary about them. The neighbors, however--particularly the women--began to suspect that there was something not quite right about the McNally twins. Finally, one acquaintance, a Mrs. Agnes Sphirmer, privately persuaded Mr. McNally to let her have a peep at the twins the next time his wife was out of the house. On the next rare occasion when Hazel was away from her children, Mrs. Sphirmer stole into the McNally house. Like an undercover detective hot on the trail of a mystery, she tiptoed into the twins' bedroom. The babies, as usual, where lying in a deep sleep. When she peered down at the little faces, her heart instantly leaped into her throat. The twins were gazing up at her, with the fixed, unblinking stare of the dead. When Mrs. Sphirmer examined the babies, only to find that they were not corpses, but two straw-stuffed dolls with china heads, I can't say if she was left more or less horrified than before. When Agnes informed Mr. McNally that his wife had given birth to a pair of toys, he naturally scrambled for some sort of logical explanation. Understandably reluctant to accept that he had fathered two bundles of straw and painted china, he came to the only other possible alternative. About a month after the, uh, children were, um, born, Hazel had taken the babies for a brief visit to Chicago, ostensibly for medical treatment. Frank decided this meant that his wife had cold-bloodedly slaughtered their newborns and, with diabolical cleverness, secretly substituted them with a pair of dolls. He yelled for the police and had Hazel arrested for murder. Hazel stood trial for double infanticide in October 1922. It was noted that for someone accused of such a heinous crime, Mrs. McNally appeared to be getting a good deal of amusement from the situation. She had a simple defense, albeit one that raised The Weird to dizzying new heights. When she married Frank, she knew that an operation had left her unable to have children. Realizing how anxious he was for the joys of fatherhood, she fulfilled his wish the only way she could. Hazel nonchalantly explained that she pretended to be pregnant, pretended to give birth, pretended to take care of two flesh-and-blood babies, all to keep her husband happy. Frank was always nagging her to have children, she shrugged. So, what else was she to do, huh? One of the first witnesses was Mary Griffith, a nurse who had visited the McNally home a couple of days after the twins were born. She testified how remarkably protective the new mother was of her infants. She would not let anyone, even Mrs. Griffith, near the children. Mrs. McNally had, it seems, even given birth on her own. Mrs. Griffith admitted that she did not get a good enough look at the babies to say whether or not they were real or ringers, but she did say that "I frequently saw her nurse them--at least she appeared to nurse them." Mrs. Griffith took Hazel's little hoax as a personal affront, grumbling that "to sit up there nine days with dolls makes me feel foolish." During the trial, Hazel changed her story. She now said that her husband had been in on the hoax. They bought the dolls with the intention of just keeping them on display until they were able to adopt the real thing. 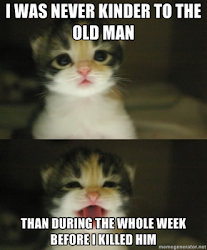 However, "babies are mighty scarce when you want them most." She soon found that her faux-motherhood was a "terrible bother...I was living in a neighborhood with a lot of old married women and they insisted on advising me as to the care of my children to make them grow. They couldn't understand why they remained the same size. "Further, Mr. McNally held this thing over my head. And every time a few pieces of the household bric-a-brac would come his way and I would threaten to leave, he'd say, 'Now you'd better be careful--I'll fix you if you leave me.'" She concluded her testimony on a philosophical note. "Well, it's over. I left Mr. McNally September 22. I didn't know what he was going to do. I didn't care. I only wanted to get away from him and from his dolls. "So I was arrested for assault when I bashed him over the head with the mop, and later for murder. But now I am free. And the joke is still on Mr. McNally. "But really, he got all sorts of fun out of it. He rocked the babies, wheeled them around in the baby buggy...What more could a man of his age want than doll babies?" Frank had an uncomfortable time on the stand, as no one seemed to be able to resist the urge to laugh at him. He admitted that he had never seen the faces of his children. "I've often carried them, and for weeks wheeled them in a perambulator, but my wife always said that they were very weak babies and that I was not to uncover their faces. It was only by accident that I discovered finally that they were dolls." Mrs. McNally's doctor, Cyrenus Campbell, stated that he had examined Hazel only once during her "pregnancy," and "there was no doubt of her condition at that time." I'm guessing his professional colleagues never allowed him to live down that expert diagnosis. Effanbee, the company that manufactured her youngsters dolls, happily used the case as part of an advertising campaign, boasting "When they are produced so close to life that they fool the father and the neighbors, that's going some!" As for Frank McNally, he preferred to think that his wife was a murderer, rather than that he was an idiot. Until his death in 1923, he continued to stubbornly insist that he had indeed fathered living, breathing twins, who were out there...somewhere. As far as I can tell, neither McNally asked for custody of Lauren and Laurene. This is all I can find about the story in the old newspapers, leaving me with the same unanswered question that is undoubtedly now plaguing you: For how long did Hazel think she could keep her little secret, and when the inevitable day of reckoning came, what would she do? Was her plan to one day dump the dolls in the trash, and sorrowfully tell the world they had been kidnapped? Or would she keep buying dolls of gradually increasing size--assuring the neighbors all the while that her offspring were just unusually quiet and reclusive sorts? I find myself resenting that busybody Mrs. Sphirmer for keeping us from learning what would have happened if Hazel had been allowed to play her game to the end. It's Friday! Time to stretch out and relax! What the hell was flying over Pennsylvania in 1914? What the hell crashed in Bolivia in 1978? What the hell is slithering around Northern California? What the hell happened to Snooky, the cat of New York's City Hall? Who the hell was Erich von Richthofen? How the hell did Louisa Parsons die? Watch out for the Shades of Death Road! Watch out for the Wild Man of Greene County! It is a tale. Told by an idiot, full of sound and fury. Why you'd rather hire a Georgian housemaid than work as one. One of the many, many sad figures from the French Revolution. The man beneath Trafalgar Square. Hey, ghosts can be good parents, too. Finally, science is taking aboriginal legends seriously...but is it too late? So it turns out that pandas really need a new menu. Kate Durkee, who sounds like she may have been more than a match for H.H. Holmes. Elizabeth Brownrigg, who definitely would have been more than a match for H.H. Holmes. Here's a video on how to fight in 15th century armor. You never know when such information will come in handy. Anne Boleyn is back, and as you might imagine, she's pretty cranky. A Georgian tragedy: the suicide of Annette Paris. The Norwegian town that seems to be a favorite UFO tourist destination. The pre-Madison life of Dolley Payne Todd. The Masons and 19th century American politics. So, maybe they really did find the tomb of Philip II. 23 feet of 6,000 years. If your ears are full of earwigs, here's the recipe for you. And please don't stand too close to me. Lily Dale, America's most psychic town. Samuel Jessup, who took his medicine just too well. How many times do I have to tell you people that pacts with the Devil never work out too well? This one is for believers in the Universal Mind. The tomb of a Ming Dynasty survivor. Meet Alexander Pope's life-saving dog. A good imagination can be the death of you. EsoterX takes a peek at Mystery Explosions. Happy Days! Hitting the town in 1959. And so we lower the curtain on this week's Link Dump. I'll see you all on Monday, when I'll be presenting what may be the weirdest story I've published on this blog to date. Yes, weirder than Dolly and her Otto in the Attic. Weirder than psychic assassins. Weirder than Satanic garden hoses. Weirder than an Illustrated Police News lady with her horsewhip. Stay tuned. I think we'll have some fun with this one. In the meantime, this song is for a particular pal of mine, who still can't believe I found it on YouTube. Enjoy this blast from your past! Mind was born at Berne in 1768; his fatter was of Hungarian origin. He studied drawing with Freudenberger, a painter who occupies only a small place in the history of art. "A special taste," says M. Depping,"led Mind to draw animals, or rather two kinds of animals, bears and cats. The latter especially were his favourite subjects, he delighted in painting them in all sorts of attitudes, singly or in groups, with truth and naturalness which have never been surpassed. 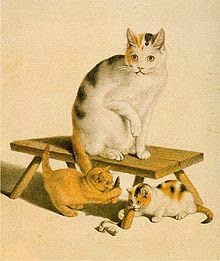 His pictures were, one might almost say, cat-portraits; he gave every shade of expression to their soft and cunning faces; he lent infinite variety to the graceful attitudes of kittens playing with their mother; he depicted the silky coat of the cat perfectly; in short, the cats that were painted by Mind seemed to be alive. Mdme. 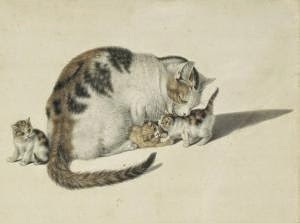 Lebrun, who never failed to purchase some of this painter's works on each of her visits to Switzerland, called him "the Raphael of Cats." 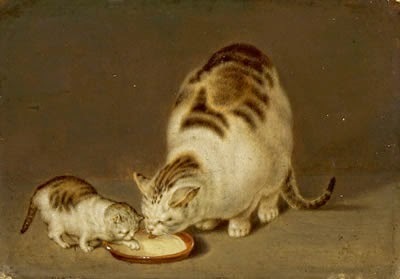 Several royal personages, travelling in his country, desired to purchase Mind's cats, which were carefully preserved in portfolios by Swiss amateurs, and others. The painter and his cats were inseparable; while he worked his favourite she-cat was almost always by his side, and he carried on a sort of conversation with her. 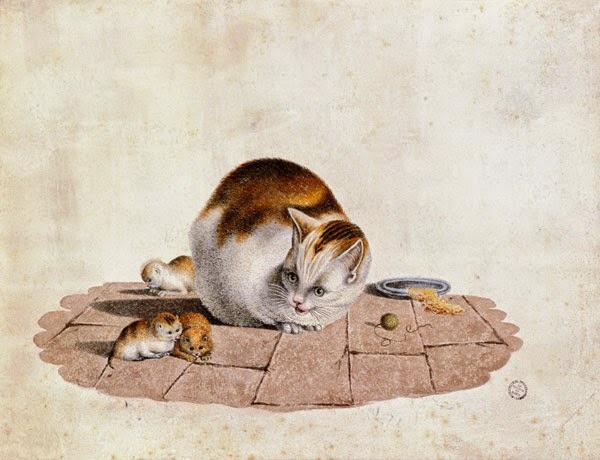 Sometimes she would sit on his knees; two or three kittens would be perched on his shoulders; and he would remain in this attitude for hours without stirring, lest he should disturb the companions of his solitude. He was not by any means so considerate towards visitors of the human species, whom he received with undisguised ill-humour. 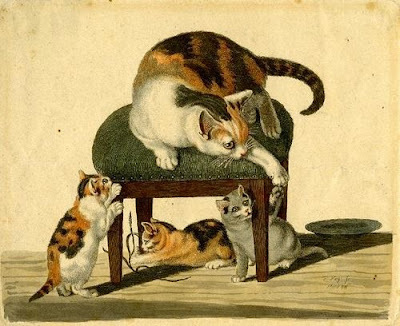 Mind probably never in his whole life experienced more profound grief than that which was caused by the general massacre of cats by the police of Berne, in 1809. This severe measure was dictated by terror; an epidemic of madness having broken out among the cats. He contrived to save his dear Minette by hiding her, but his sorrow for the death of the eight hundred cats that were sacrificed to the public safety was overwhelming: he never was entirely consoled. It gave him great pleasure to examine pictures or drawings which represented animals. Woe to the painters who had not represented his favourite species with perfect fidelity! They obtained no favour from him, let their talent in any other direction be ever so great. During the winter evenings he still contrived to occupy himself with his beloved animals by cutting out cats and bears in chestnuts. The pretty trifles, which were executed with marvellous skill, had a great sale. Felibus atque ursis flebilis occidit. [Note: Google translates this Latin--no doubt very roughly--as "Mourn, all you cats, bears mourn, He is dead to you, friend; Cats and bears lament." His Sacred Majesty King James I of England was the royal equivalent of the "Illustrated Police News": the blogger's gift that never stops giving The Weird. Not content with having his reign as King James VI of Scotland characterized by those classic bizarre episodes known as the "Gowrie Conspiracy," and the "Witches of Berwick," once he moved to England, things got only more peculiar. While the death of Sir Thomas Overbury was not quite as enigmatic as the demise of the brothers Ruthven, it boasted a larger, and far more sinister, cast of characters. 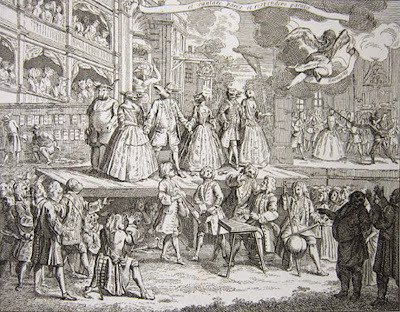 The opening scene of our real-life Jacobean drama was a wedding. On January 5, 1606, Robert Devereux, Earl of Essex, was married to Lady Frances Howard in a grand ceremony attended by the entire court. He was well-bred and rich; she, already showing signs of becoming one of high society's great beauties. It was a uniting of two of the country's leading families. The only two people at court who declined to join in the universal groveling and flattering of Carr were the king's wife and his eldest son. Queen Anne, although usually indifferent to anything her husband said or did, heartily disliked the new favorite and his unprecedented hold over the king. Prince Henry, who, in the words of William Roughead, "was mentally, morally and physically so unlike his Royal sire as to give some colour to contemporary scandal," saw Carr as merely one more black mark against a father he had long held in contempt. Relations between Carr and the heir to the throne became so openly hostile that on one occasion, the prince walloped the Favorite with his tennis racket. Carr's meteoric rise to power was shared, albeit far more unobtrusively, by Thomas Overbury. 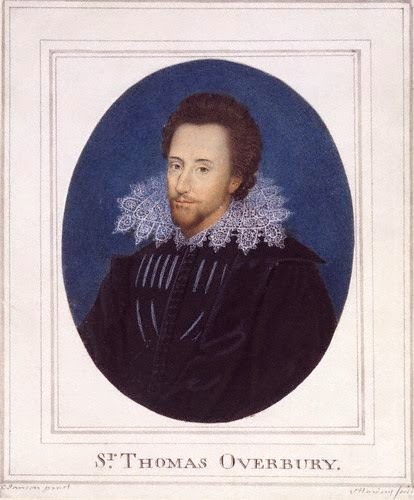 Overbury was an ambitious, clever lawyer and man of letters who had in 1601 entered into a close friendship with the young Scot. In 1608, the Favorite had Overbury knighted and made a Gentleman of the Household, and from then on, Sir Thomas quietly became a key player at court as Carr's personal advisor, supplying the brainpower and cunning his friend conspicuously lacked, and guiding the Favorite in everything he did. He even wrote all of Carr's letters. Overbury boasted of his access to all state secrets, crowing that he knew more about government affairs than the Privy Council. If Carr was the power behind the throne, Overbury was the power behind Carr. So much for Act One. Act Two opens with the return of Frances Howard, who was by now old enough to take her proper place in court life. She was described as "a Beauty of the greatest Magnitude," of a "lustfull appetite...covetous of applause...light of behaviour." She was, in short, the type of young lady just born to cause trouble. The trouble started when she and Carr entered into a love affair. The trouble escalated when the Earl of Essex returned from his military training in the Low Countries, expecting that he and his bride would finally live together as man and wife. Frances, engrossed in her dallyings with Carr, flatly refused to have anything to do with her husband. Her parents finally forced her to live under the same roof with Essex, but she did so with a notably bad grace. According to her later testimony, at least, she refused to consummate their marriage. She so resented the very existence of her husband that she consulted a "wise woman" named Mrs. Anne Turner. Frances' witchcraft requirements were twofold: to keep Carr's love, while repelling the advances of her husband. Mrs. Turner referred her to a Dr. Simon Forman, who was known "to have skill in the Magick Arts." Forman supplied the Countess of Essex with various Satanic charms and powders to be used on the two men in her life, but, alas, they proved of little efficacy. Frances did not take this failure well. She was entirely prepared to escalate her efforts. She wrote to Mrs. Turner that "I cannot be happy so long as this man [her husband] liveth...If I can get this done, you shall have as much money as you can demand." In a related story, another "wise woman" known as "Cunning Mary" later claimed that the Countess of Essex offered her £1000 pounds if she could furnish a slow-acting poison for the Earl. Mary was cunning enough to flee town instead. In November 1612, Prince Henry died suddenly, in circumstances curious enough for murder to be widely assumed. Although the cause of his demise is still debatable, it is unquestioned that it was a very good thing for his enemy, Robert Carr. With the prince out of the way, the Favorite's power at court was completely unchallenged. Lady Essex decided that this was the time to make her move. She wished to divorce her husband and replace him with her now-omnipotent lover. In those days, her only possible grounds for ending her marriage was on the grounds of non-consummation. Although she and her husband had lived together for three years, she now insisted that they had never shared a bed. 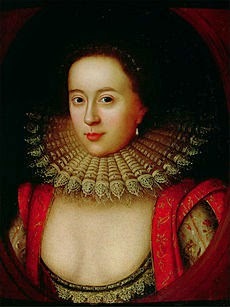 Frances also declared that she was still a virgin, which provided the court with a good deal of amusement. Frances' ambitious parents were all for her jettisoning her husband in favor of a far more glittering match, and the king was also expected to be complaisant in the matter. The sole obstacle to the divorce proved to be Sir Thomas Overbury. Carr's secret puppetmaster was horrified to learn that the puppet intended to actually marry Lady Frances. He had loathed her from the start as a woman "known for her injury and immodesty." Overbury realized that once Carr had a strong-minded wife controlling him, he, Overbury, would be supplanted. Even more importantly, Overbury was deeply opposed politically to the powerful Howard clan. (He was a staunch Protestant, while the Howards had pro-Catholic, pro-Spain sympathies.) Sir Thomas lost his temper and told Carr a good many things about his intended wife--the fact that they were all quite accurate just made things worse--with the result that the two former friends fell out completely. Overbury was even indiscreet enough to circulate a scurrilous poem, "A Wife," which was recognized as a public attack on Carr's mistress. Lady Frances realized that Sir Thomas just had to go. She was infuriated that he had dared to publicly describe her as a conniving, unprincipled whore. Besides, he knew so much about her liaison with Carr--not to mention her efforts to poison her husband--that his mouth needed to be shut for good. And quickly. Carr, with the aid of some of Lady Frances' relatives, came up with a beautifully Machiavellian scheme to rid themselves of Overbury. They urged the king to name him ambassador to Russia. Carr then, in the guise of offering helpful advice, persuaded Overbury to reject the post. James had long wanted to remove Overbury's influence over Carr--the king saw it as "a dishonour to him that the world should have an opinion that [Carr] ruled him and Overbury ruled [Carr]"--so this defiance of the royal command have him the perfect opportunity to send Overbury to the Tower. In prison, Sir Thomas was now at the mercy of all his enemies. While Overbury sulks in the Tower, we move on to the comic interlude of our melodrama: the Essex divorce case. While by this point the Earl was quite willing to rid himself of Frances, he refused to humiliate himself by asserting he had been unable to consummate his marriage. A compromise was finally worked out, where he would agree that he had been only temporarily impotent, so to speak. "Seven noble women," led by the Countess' own mother, testified that they had examined Lady Frances, and determined that she was indeed still "untouched." It is generally assumed the women were all cheerfully perjuring themselves, but it was said that a girl "too young to be other than virgo intacta" was brought in, heavily veiled, to act as a ringer for the Countess during the examination. After a good deal of pressure from King James himself, the Royal Commission who had been assigned to preside over this distasteful matter reluctantly voted for the nullity of the marriage. By the time the Essex marriage was declared a non-starter, Sir Thomas Overbury had died in his cell. Lady Frances, after consulting with Mrs. Turner and yet another reputed wizard named Dr. James Franklin (Dr. Forman had since died,) saw to it that a youth named Richard Weston was appointed to act as Overbury's jailer. Then, Weston was given various poisons to slip into his prisoner's food. Both Carr and Lady Frances sent to the Tower various delicacies for Overbury's benefit--all of which, of course, were also full of various toxic substances. 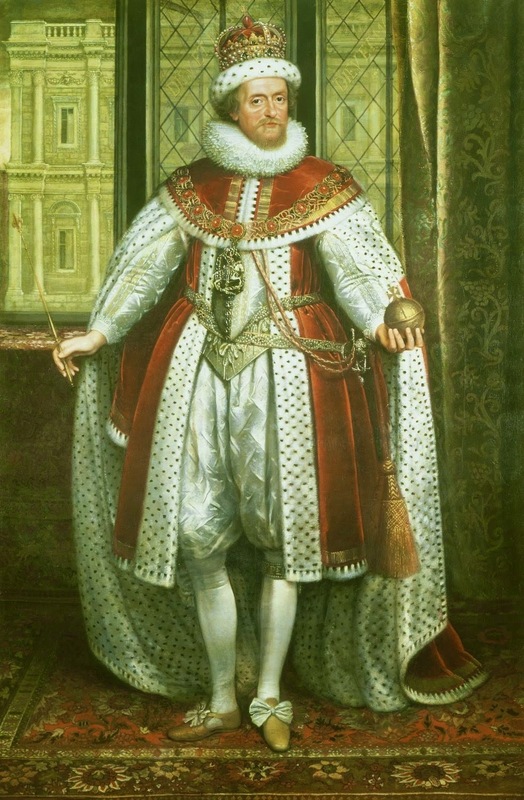 King James even sent his personal physician, Sir Theodore Mayerne, to look after the prisoner. (Mayerne largely deputized this task to a shady apothecary named Lobell.) One can only assume that Mayerne was not instructed to ensure that Overbury lived a long and healthy life. Sir Thomas lasted a surprisingly long time in the Tower--five months--but he inevitably succumbed to the poison onslaught. On his deathbed, he wrote a letter to Carr bitterly reproaching him for his treachery. He added the highly ominous information that he had put into writing "the story betwixt you and me," and sent this document to a friend for safe-keeping. If he, Overbury, died, this document was to be published, with the result that "your shame shall never die, but ever remain to the world, to make you the most odious man living." Predictably enough, the king saw to it that this manuscript never saw the light of day, which is a great pity. It would have made highly edifying reading. Within weeks of the nullification, James created his Favorite Earl of Somerset, and soon afterward Carr and Lady Frances were married. Carr had gotten everything he wanted, and it would prove to be his downfall. Without Overbury's guidance, he was utterly lost in the complex world of statecraft. Left on his own, he made a bungle of everything he touched. Worse still, success had gone to his head. He had become arrogant, overbearing, and insolent--even to James, which showed the full measure of his stupidity. This was particularly unwise of Carr, as his enemies had found a rival for the king's affections. George Villiers, a graceful young man just as decorative as Carr but far brighter, was brought to court and deftly paraded before James. The king took an immediate fancy to the charming newcomer and gifted him with an appointment as the King's Cupbearer, a knighthood, and a pension. The cry began to be heard of "The old Favorite is dead, long live the new Favorite!" It got worse for Carr. In 1615, a former apprentice of Lobell the apothecary was on what he thought was his deathbed. The apprentice confessed all he knew about the murder--which was plenty. Among other things, he claimed that Lobell supplied the poisons that finally finished Overbury off. Carr's enemies at court used this to persuade King James that an investigation had to be done about the matter--word that Overbury had been poisoned had spread so thoroughly that it was impossible to hush it up. James agreed that the scandal needed to be taken under his control. Lord Chief-Justice Coke was made the head of the inquiry.
" Earle of Somerset never parted from him with more seeming affection than at this time, when he knew Somerset should never see him more; and had you seen the seeming affection (as the author himselfe did) you would rather have believed he was in his rising than setting. The earle, when he kissed his hand, the king hung about his neck, slabbering his cheeks, saying, 'For Gods sake, when shall I see thee againe? On my soul, I shall neither eat nor sleep until you come again.' The earle told him, on Monday (this being on the Friday.) 'For Gods sake, let me,' said the king, 'shall I, shall I!' then lolled about his neck. 'Then for Gods sake give thy lady this kiss for me.' In the same manner at the stayres head, at the middle of the stayres, and at the stayres foot. The earl was not in his coach when the king used these very words...'I shall never see his face more.'" He said it with a smile, too. Although Carr had prudently burned all his incriminating papers, and assumed his accomplices had all done likewise, Mrs. Turner had--presumably for future blackmail purposes--kept certain letters Lady Frances had sent her. Once these fell into Coke's hands, the Earl of Somerset and his wife found themselves under arrest right along with Richard Weston, Mrs. Turner, Dr. Franklin, Lobell the apothecary, and the Lieutenant of the Tower, Sir Gervase Elwes. These murder trials could not be described as models of impartial justice. The king, of course, stage-managed everything behind the scenes in order to get results that suited him. The dubious role played in Overbury's death by Dr. Mayerne and Lobell was of course suppressed, as touching far too near to James himself, leaving other, less important souls to take the rap. Richard Weston was the first to face the tribunal. His role in feeding poisons to Overbury was too obvious to be denied, and he was far too insignificant for anyone to bother protecting him. He was soon hanged at Tyburn. Mrs. Turner was the next to face the gallows. She was admittedly Weston's accomplice, so once he was convicted, her fate was obvious. A week after her execution, Sir Gervase Elwes was brought to trial, charged with "the malicious aiding, comforting, and abetting of Weston." Elwes was probably guilty of nothing more than turning an obedient blind eye to the doings of those far above him in rank and power, but this did not save him. He too was executed. When, in his turn, Dr. James Franklin faced trial and the inevitable gallows, he made the most interesting end of the lot. Before being hanged, he stated that "there were greater persons in this matter than were yet known," and that Overbury had not been the only victim of the murder squad that clustered around the king. Franklin declared that Dr. Mayerne and Lobell the apothecary had poisoned Prince Henry. Then, the hangman shut his mouth for good. 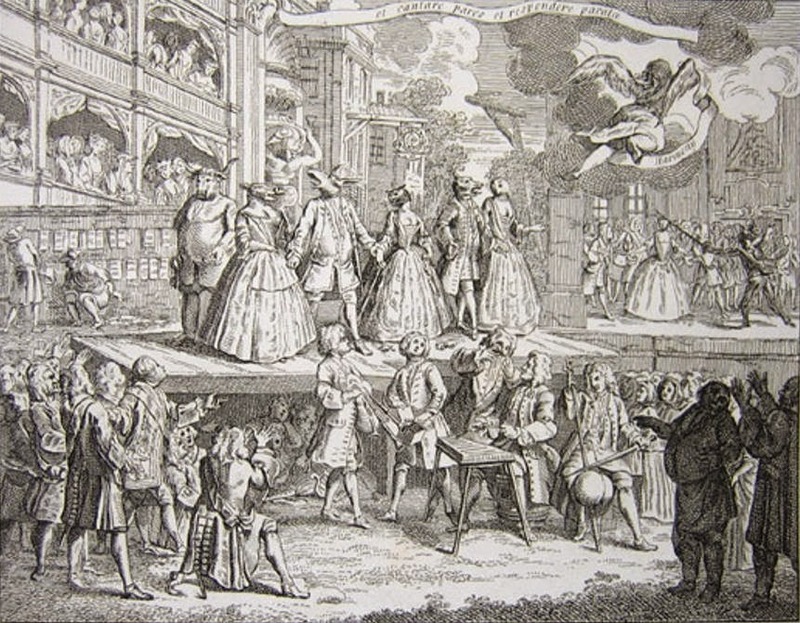 It is now that we reach the denouement of our play: The trials of Lord and Lady Somerset. Frances (who had given birth to a daughter during her house arrest) stood in the dock in May 1616. It was, I fear a complete dramatic anticlimax. As she pled guilty, there was virtually no trial at all (a great disappointment to those who had paid as much as £50 for admission to the courthouse.) She was duly sentenced to death and escorted back to the Tower. Somerset proved considerably more troublesome. He resisted all the royal pressure to follow his wife's example of meekly confessing and begging for royal mercy. He was willing to gamble that he knew so much about James that the king would not dare convict him. In fact, he told his judges that if he was not freed, he would make certain unpleasant disclosures about the monarch. James was deeply unnerved by this. During Somerset's trial, the king ordered that two servants be placed on each side of him, ready to smother the defendant with a cloak and carry him out of the courtroom if he should begin to speak. As it turned out, this was not necessary. By then, he and James had apparently come to some sort of a private deal. Although both Lord and Lady Somerset were found guilty, they did not pay the legal penalty. Instead, they were kept in the Tower until January 1621, and then quietly released. This is not to say that the Somersets did not suffer for their misdeeds. By Order of Council, they were forced to live together in one of two remote country houses, in a "private and obscure condition." It proved to be a cruel fate. Long before this, the couple--who had committed so many sins in order to be together--had, in the old way of thieves falling out, become bitterly estranged. Each, it seems, blamed the other for their downfall. And, in a sense, they were both correct. They continued in this mutually loathed propinquity until the Countess' slow, painful death from cancer in 1632. The once all-powerful Earl of Somerset lingered on in unhappy obscurity until 1645. Overbury's murder was in itself not very mysterious, but there is still one great, lingering puzzle at the heart of this story: What exactly was this secret Carr threatened to reveal about James, this bit of hidden knowledge that, from all accounts, the king was terrified might become public? James' (presumed) homosexuality, the suspicious death of his son Henry, or his involvement in Overbury's murder have all been named as possible answers. These suggestions are unconvincing, for the simple reason that they were no secrets. Everyone at court knew of James' partiality for attractive young men, his own wife Queen Anne had accused Somerset of poisoning Henry, with, it was clearly implied, the father's blessing, most people assumed that James had been an accessory in Overbury's death--and nobody cared! Any allegations Somerset might make on any of these matters would just be one more drop in a very full bucket. Certainly, they were nothing to inspire the mortal dread of Somerset's possible revelations James displayed. It is a question we will never see satisfactorily answered. [Note: The idea that James' eldest son was murdered is not as outlandish as one might think. The handsome, cultured, high-minded, courageous Prince Henry was wildly popular. Everyone in England looked forward to the anticipated Golden Age when he finally supplanted his largely disdained father. In fact, once Henry reached young adulthood, there was a growing faction who talked of forcing James to abdicate in favor of the heir. Henry himself appears to have been all in favor of the idea. After what had happened to his mother Mary Queen of Scots, James was understandably highly paranoid about the thought of relinquishing power, and he vowed that he would never step down from the throne. It's time for the weekly Link Dump! We're still wondering what the hell is shining on Ceres! We're still wondering what the hell flew over Oregon in 1950! We're still wondering who the hell was D.B. Cooper! What the hell is flying over Auckland? Who the hell killed Alfred Oliver? Watch out for the ghosts of Pogue's Run! Watch out for those Fortean radio signals! Watch out for those self-hanging gallows! Mose Caton, who surely got what he deserved. Murder by Horoscope; or, The Fault Was in His Stars. The most famous magician you've never heard of. The beautiful cats of Elder St.
George II's eldest daughter, who really wanted to be queen and wasn't too fussy about husbands. A gallery of underwater cities. The Military Bishop and the Convenient Wife: a Georgian scandal in high places. Bad medieval rulers! Cruel medieval rulers! Accursed medieval rulers! Yeah, Sylvia Browne really was a stinker. The fake classified ad that conquered the internet. Gilbert du Brange, illustrious quack. Wonderful photos of Sudan's "forgotten pyramids." Exploring a link between Nessie and earthquakes. From all I know of Russia, this does not surprise me even the tiniest bit. The grave of the "Red Lady of El Miron." Medieval death sculptures were...not subtle. How to pitch a late 19th-century magazine. Victorians getting just too inventive. Now, this is what I call diplomacy. Meet the world's loneliest plant. Crystal hunting can be more adventurous than you might think. The "good end" of William Marshal, the greatest of medieval knights. You asked for it, you got it: Raising the dead via tongue-pulling. Oh, just another Bohemian cannibal sorcerer. Life, the Universe, and the Great Filter. The girl who was adopted by a ghost. A night out in Depression-era Manhattan. In Russia, you can't tell the Soviets from the Nazis without a scorecard! Allegations of election fraud made against the East India Company, 1832. Dogs are eating live ammunition. And, finally: This weekend, party like it's 2200 B.C.! "Grave Robber Fleeing a Corpse That Has Come to Life." I have to say that I hesitated about posting this story (from the "Andersonville Intelligencer," April 22, 1880.) This tale of a grave-robber's comeuppance is so lavish with gruesome details, I feared it would single-handedly cause me to lose at least half of my six or seven readers. However, it's such a perfect example of 19th Century Newspaper Gothic that I couldn't resist going ahead with it. Just be advised: If you have a sensitive stomach, close your browser window right now! And just be thankful I spared you the story about the abandoned medical school. South Bend, Ind., March 22. Several months ago the grave of Sarah Platts, a young lady who died of consumption, was found disturbed, and an examination showed that the head of the corpse was missing. What led to the discovery was the finding of a human jawbone by Fred Auer, a farmer, who lived near the county graveyard, some eight miles from the city, where the body was buried. The fact that only the head was taken threw suspicions on an amateur phrenologist named Gordon Truesdale. Truesdale occupied a small farm in the vicinity with his wife and family of four girls, the oldest not more than eight years old. He was a handsome, broad-shouldered fellow, with a fair education, but lazy and shiftless. His great hobby was phrenology, and he occasionally lectured on that subject in country school-houses. His ambition to possess a collection of skulls was well known in the neighborhood, and the desecration of the Platts girl's grave was laid at his door, although he was never openly charged with it. About three weeks ago Truesdale went to a physician and asked if a person could become poisoned in handling a dead body. He received an affirmative reply and appeared to be much troubled. He complained to his wife that his nose was paining him terribly and he believed he was taking the erysipelas. He began doctoring himself with bread-and-milk poultices, but without success. His face began to swell rapidly, and in less than three days it and his head became twice their natural size and lost all semblance to human shape. A physician was called in against the wishes of Truesdale. He found the man suffering terribly. His lids were drawn by the tension of the skin and writhed themselves away from the teeth in unceasing pain. The cuticle across the bridge of the nose and over the forehead was so distended with the mattery substance underneath that it seemed as if it must burst every moment. The eyes were swollen almost to bursting from their sockets and were turned with pain until hardly anything but the whites could be seen. It was evident that a terrible poison was slowly but surely permeating the man's whole system. The physician, after a careful examination of the unwilling patient, cut open his skin from about the center of his nose almost to the roots of his hair, and then made another across the forehead almost from temple to temple. From these incisions there oozed a mass of loathsome, detestable putrescence, so terrible in its stench that the attendants, save one, ran from the house. Other incisions were made in different parts of the scalp, from which the hair had been shaved, and from these this terribly offensive matter oozed constantly, until the swelling was reduced and the head and face assumed nearly their normal size. Attempts were then made to free the incisions of matter by injecting water into them. It was noticed that when water was forced into the cut in the forehead it poured out of the holes in the scalp. As one of the attendants said, "it seemed as if all the flesh between the skin arid bone had turned into corruption and ran out." When Mr. Truesdale was told that he could not possibly recover, he called his wife into the room and confessed to her that he robbed the Platts girl's grave, and referred to a certain night when he left the house and refused to tell her where he went at the time when he committed the crime. He said that he dug down to the head of the coffin, broke it open and, taking his knife, cut around the neck of the corpse through the flesh to the bone. He then placed one of his feet on the breast of the corpse, and, taking the head in his hands, pulled and jerked and twisted it until it came off by mere force. He afterward disjointed the lower jaw and threw it where Fred Auer found it. He closed his confession by telling her where the skull would be found, under the straw in a certain manger in the stable. It was found there and given up to the Platts family. to wear gloves, as it was impossible to wash the odor from their hands. The day he died his flesh was so rotten that it seemed as if it would drop from the bones it touched, and his eyes actually decayed until they became sightless. For two days before his death a coffin had been in readiness, and the orders of the physician were to place him in it as soon as the breath left his body and get him under the ground immediately. After his death none of the attendants had the temerity to touch the corpse, for fear of being poisoned, so they gathered the sheets on which the body lay at each end, and thus lifted it into the coffin. 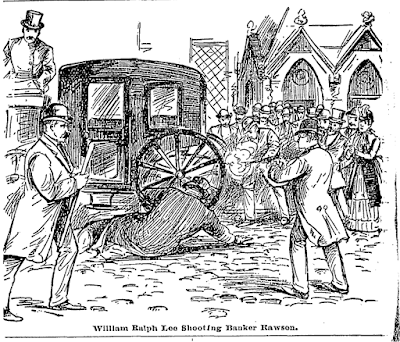 The lid was quickly screwed down, but before a wagon could be procured the body swelled and burst it off. It was then strapped on, but when the coffin was taken from the wagon at the graveyard, just at daylight, it again flew off, and the body appeared to swell visibly before the horrified attendants' eyes. The fetid, noisome stench from the putrid mass within was such that no one could attempt to replace the cover, and the coffin was covered from sight as hurriedly as possible. The day after the funeral, or burial, rather, the wife of Truesdale was confined at a neighbor's house, this fifth child also being a girl. The Truesdale house will not be fit to occupy for several days, as all efforts to fumigate it thus far have failed. The doors and windows have been left open day and night, but the stench is still as bad as when he died. As one of the attendants said, "It still seems as if you could cut the air in that house with a knife." Quite a warning to potential body-snatchers. And phrenologists, for that matter. 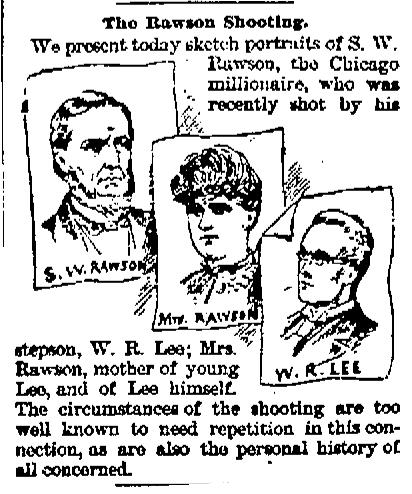 One of the livelier divorce cases of the 19th century--oh, hell, in any century--was the Great Case of Rawson vs. Rawson, a story of marital unhappiness that had more shoot 'em ups than a Quentin Tarantino Film Festival. Our story begins around 1885, when Stephen W. Rawson, a wealthy Chicagoan who was President of the Union Trust Co. Bank, met an attractive woman named America "Meckie" Slaymaker Lee. She was a department clerk in Washington (where she was said to have been involved in "some highly sensational incidents,") twice-divorced and the mother of two children. She was, we are told, "something of a watering-place belle." Rich, susceptible, middle-aged man meets pretty young thing in need of money and security for herself and her youngsters. It will not surprise anyone that in March of that year, they married. It will also probably not surprise anyone that the marriage was not a success. Three months after the wedding, Banker Rawson was thinking divorce. Here is where things began to get complicated. If you believe one side in this domestic conflict, Mr. Rawson could not find any grounds for divorcing his wife, so he "employed a number of detectives to antagonize her,"and, in June 1887, filed for divorce on cruel and wholly trumped-up charges of infidelity. If you believe the other side, of course, the poor man was simply trying to free himself from the clutches of a gold-digging vixen who only married him for his money, and then thanked him for his generosity with the most blatant infidelities. She was, he insisted, "a disreputable, devilish-tempered adventuress." Rawson claimed that his wife's divorce from her first husband, John Slaymaker, was illegal, thus rendering the Rawson marriage invalid. Mrs. Rawson promptly filed a counter-suit, alleging cruelty and refusal to support her, and husband and wife traded public insults in the most time-honored fashion. Mr. Rawson filed bills. Mrs. Rawson filed cross-bills. As a contemporary paper reported breathessly, "there have been rejoinders and sur-rejoinders, affadavits, depositions, and traverses until the accumulation is far beyond any precedent in even a Chicago divorce case. Both parties to the suit have had detectives watching each other, and whenever a detective saw a chance for an affidavit one was immediately added to the pile." Then, on October 16, Meckie's 17-year-old son, William Ralph Lee, walked up to Mr. Rawson as his stepfather was leaving church and shot him five times. After his arrest, the young man said, "He tried to ruin my mother as well as my sister and I couldn't stand it." When told the news by a reporter, Mrs. Rawson snapped, "I am glad of it. He deserved it...I intended to do it myself." Young Lee--who remained not only unrepentant, but thoroughly nonchalant, throughout the legal proceedings against him--pleaded guilty and was given 18 months in jail, the maximum sentence allowed for those under 18 years of age. His mother was charged with complicity in the crime, but the case against her was dropped for lack of evidence. Meanwhile, her 12-year-old daughter Dot sued Rawson for slander, due to his claim that the marriage between Meckie and Charles Lee had been invalid, thus implying the girl was illegitimate. Although the banker's condition remained precarious for some weeks, he eventually recovered from his wounds, and the Great Rawson Battle commenced anew. Mrs. Rawson, it seems, decided that not quite enough blood had been spilled. On June 2, 1888, a courtroom in Chicago was scheduled to hear the latest round of the divorce case. The onlookers got a far different show, instead. In open court, while the docket was being called, Meckie walked over to where her husband's attorney, Colonel H.C. Whitney, was sitting, and shot at him. She chased him across the courtroom, emptying her Smith & Weston before she was captured. Whitney had been shot twice, in the groin and left leg. There was a "fearful struggle" before the hysterical woman was subdued. Whitney, whose injuries were not life-threatening--mother and son were enthusiastic, but inefficient assassins--said afterward that he had been expecting something of this sort, as Mrs. Rawson had threatened to kill him. With, it must be said, some justification, he added that Mrs. R. was a dangerous woman who should not be allowed to run at large. Her lawyer, a Mr. Payne, retorted that his client was "an outraged woman," whose attack on Whitney was "only an effort to avenge shameful injury...no woman had a more just cause of quarrel against a man who scarcely deserves the name than Mrs. Rawson had against Mr. Whitney." Mrs. Rawson, of course, was immediately indicted for attempted murder. It was reported that she was very surprised that her action had not met with approval. She told a very peculiar story about the circumstances which had led up to her act. She claimed that several days previously, a Mr. Hobbs told her that he had married Ida Hamilton, a woman who had initially testified in favor of Mrs. Rawson in the divorce trial, but subsequently went over to the enemy camp. Meckie said Hobbs told her that Hamilton confided to him that one of Mr. Rawson's detectives had had a falling out with the banker, and was now ready to turn over to Mrs. Rawson everything he knew about her husband's machinations against her. Supposedly, Hobbs told Meckie that Ida Hamilton had been bribed to testify against her, and that Mr. Rawson was fully prepared to pay off the jury, as well, if necessary. "When I learned that," Mrs. Rawson said, "I was nearly distracted." Between the civil and criminal cases they were spawning, the Rawson household was certainly keeping the lawyers busy. While Mrs. Rawson awaited her trial, the divorce attorneys reached an amicable settlement. Mr. Rawson would settle $40,000 on his wife, and agreed not to contest her charge of desertion. He would retract all the charges he made against her in his bill, and all civil litigation would also be withdrawn. By this point, there was probably no price Mr. Rawson would not pay to be out of this marriage. 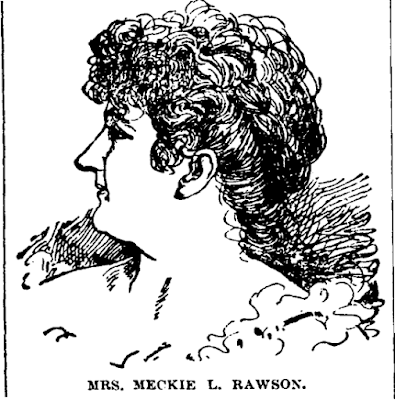 In January 1889, Meckie Rawson went on trial for shooting Whitney, who was, by that time, in an insane asylum--dealing with the Rawsons, it must be said, would probably be too much for anyone's sanity. The courthouse was packed with sensation-hungry Chicagoans, and they certainly got their money's worth. The prosecution kicked things off by reading the Grand Jury testimony of one of Mr. Rawson's attorneys, LH. Bistee. He said that Matt Hogan, one of Mrs. Rawson's detectives, told him that she had tried to hire Hogan to poison her husband's gin. After Hogan refused the job, she enlisted her former husband, Charles Lee--who was an army deserter and professional gambler--to do the deed. Supposedly, Lee was on his way to Chicago when his son beat him to the punch. The Grand Jury testimony of Ida Hamilton was also read. She said the defendant was "profane and violent," and that before her marriage, she was angry at Rawson for not paying her son William--who was employed in his stepfather's bank--a higher salary. "She said that she would get even with the old Spoopendyke." (You heard me. Spoopendyke.) "She would marry him, make his money fly, and then get rid of him." The real fun came when the defendant herself took the stand. Finally given what she had most wanted--full rein to tell her story--she spoke nonstop for five hours. Whenever the hapless prosecuting attorney tried to get a word in edgewise, Mrs. Rawson would brush him off with "Keep quiet!" She said that when Mr. Rawson proposed to her in 1885, he told her he wanted a woman "who would paralyze the westsiders." "I did paralyze them, too!" she laughed. Chances are, the courtroom onlookers were pretty paralyzed by this point, as well. According to Mrs. Rawson, trouble arose early in their marriage, when she wished to dismiss a maid, Bridget Quigley. When she demanded her husband fire the girl, he replied, "Madame, you can leave the house if you don't like it." When she "saw the look of triumph spreading over that girl's face," she knew her marriage was a failure. She gave her account of the notorious "sleeping car trip," which the banker had used as evidence of her adultery. She said that while on a journey to Kansas with her husband, he had introduced to her a real estate agent named Solomon. "Mr. Rawson left me in the car with Solomon for a short time. The real estate man, who sat in the same seat with me, was very fat, and as I am no fairy we were pretty close together. Mr. Rawson said I had been in a compromising position with Solomon and made the matter the subject of an affadavit." Mrs. Rawson also informed the courtroom that her husband colored his hair, and the dye from his whiskers would stain her lips when he kissed her. "I can tell you just where he bought his dye." What this had to do with the attempted murder charges against her, God only knew, but her audience must have found it immensely entertaining. Returning to the shooting, Mrs. Rawson said, "I expect you'll ask me where I got my pistol." She explained that she was living alone, "and was in constant danger of being annoyed and entrapped by Mr. Rawson's detectives." Everywhere she went, "there was Rawson with a lot of affidavits. He had affidavits from his coachman, his hostler, and some more of his hired people. He had one from his physician. It was paid for. I know it was, because I got one myself once. You can get them for $5." The week before the shooting, Mrs. Rawson barely slept, and she was in such a condition, she didn't know what she was doing at times. The night before the near-murder, she heard a voice crying out, "Kill him, kill him!" over and over. The next morning, "in a dazed condition," she started for the courthouse to confront Mr. Whitney. Mrs. Rawson did not care to be cross-examined. Whenever the prosecuting attorney asked her questions she found unpleasant, she gave him "a piece of her mind," in such a "short, incisive way with the result as a rule that that particular line of inquiry was abandoned." It was undoubtedly a good thing the defendant was weaponless when the servant girl, Bridget Quigley, took the stand. As one reporter noted "it was at once evident that no love was lost" between her and the defendant. Miss Quigley calmly described Mrs. Rawson as a greedy woman of few morals. She denied that the defendant had wanted her to leave the household; on the contrary, Meckie had offered her a raise if she would stay. Mrs. Rawson, she went on, was "addicted to the use of profane and vulgar language, and proceeded to give alleged samples of it, which were of a character to preclude their publication, and which were in fact so shocking as to call out a protest from Judge Tuthill." Mrs. Rawson, as can be imagined, did not take this quietly. Miss Quigley's remarks were "punctuated occasionally by exclamations from Mrs. Rawson to the general effect that the witness was drawing on her imagination for her facts to a most astonishing degree. Mrs. Rawson also took occasion, sotto voce, that the sealskin cloak and laces with which Bridget had adorned herself withal were the price of her shame." 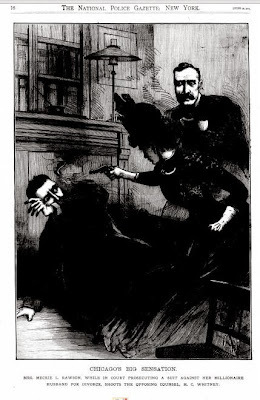 As there was no question whatsoever that Mrs. Rawson had shot lawyer Whitney, the only real issue before the court was whether or not she was sane at the time. As always with "expert witnesses," both sides were able to present testimony favorable to their side. Doctors for the prosecution said she was in her "right mind" when she pumped Whitney full of lead, while doctors for the defense said she was not. All in all, the results of the trial were not particularly surprising. After only a short period of deliberation, the jury acquitted Mrs. Rawson. The official verdict found her "guilty of assault, but insane and irresponsible at the time." Our heroine left the courthouse a free woman. After thanking the jury individually, Meckie glared over at the prosecutor, State Attorney Elliot, and shouted, "How much did Rawson pay you?" Elliot laughed and said nothing. This only seemed to incense the lady further. "I'll find out all about this," she warned. "You've abused me shamefully during this trial and I'll hold you responsible for it." Wisely, her friends hustled her out of the courthouse at that point. They knew by now that when Meckie Rawson set out to hold people responsible, that usually meant bullets were about to start flying. One journalist covering the trial summed up the verdict in these words: "The trial brought out the fact that Mrs. Rawson was a woman of ungovernable temper, a regular she-devil when she got fully aroused, and a woman of adventurous predilections. Even during the trial she was a terror to the court, lawyers and jury, whose outbursts the judge was unable to prevent or subdue. The jury evidently concluded that the easiest way to get rid of her and save the state any further trouble with so ugly a customer was to call her temporarily insane and let her go." Can't say any fairer than that. After Mrs. Rawson's acquittal, her daughter Dot told a Chicago paper that her mother had written a play about her ill-fated marriage, in which, of course, she planned to play herself. It's safe to say the American stage lost out on a memorable experience when these plans came to nothing. Instead, Mrs. Rawson went on a tour of Europe. After he was released from prison in August of 1889, her son William caught up with her on her travels. It was said that in Italy, she became engaged for the fourth time. The bravery of some men almost defies belief. Unfortunately, that is the last bit of information I have been able to find about this singularly stormy petrel. In 1906, Stephen Rawson died at the age of 69 after a long illness. As for that other Rawson victim, Henry C. Whitney, he evidently recovered both his health and his sanity. He had been a friend and associate of Abraham Lincoln, and his 1892 book "Life on the Circuit With Lincoln," was highly regarded. Two years later, he published "Marriage and Divorce: The Effect of Each on Personal Status and Property Rights." Very disappointingly, the name of Rawson never appears once in the volume.